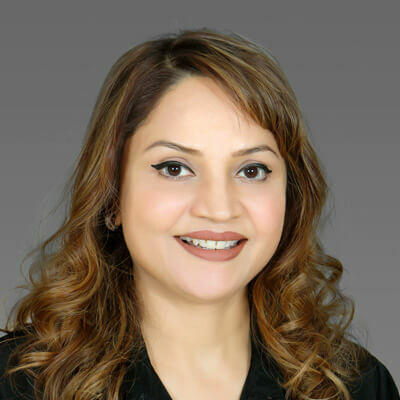 A physiotherapist by training, Neelam Sharma came to Online Trading Academy because she wanted to develop a skill that would enable her to live and work anywhere in the world. She rapidly progressed through the fundamental on-location classes, then added XLT so she could learn more. Based on her active participation and mentoring of other students, she was invited to become an OTA Instructor. Neelam sees herself as a disciplined person who is able to live by rules and work in a structured manner, and she tries to instill these characteristics in her students. Her students can expect to learn the fundamentals of trading, taught in a very graspable manner. She believes in keeping trading simple, rules-based and backed by an effective mindset. She likes OTA because students learn a complete and actionable methodology—everything required for trading from strategy to risk management and developing a trader psychology. As a result, even students who are completely new to trading (as she was) can learn what they need to succeed.